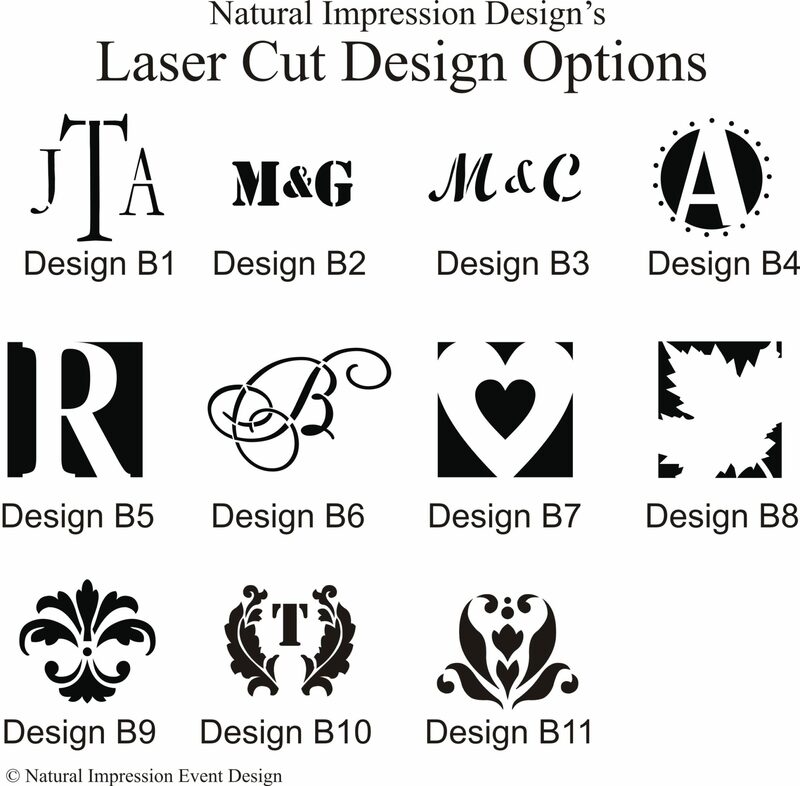 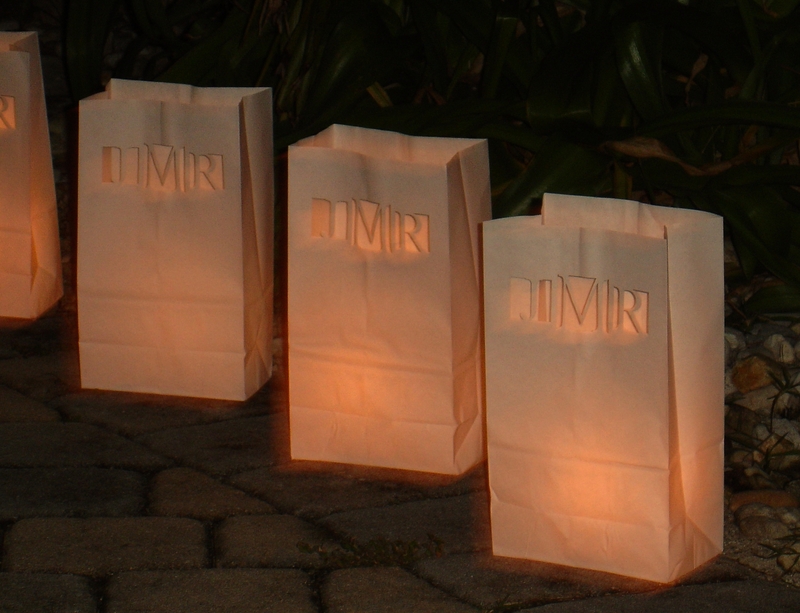 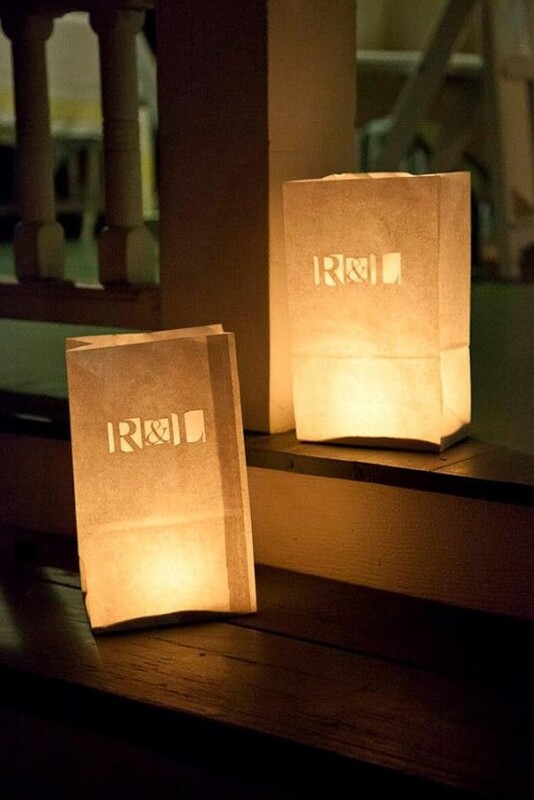 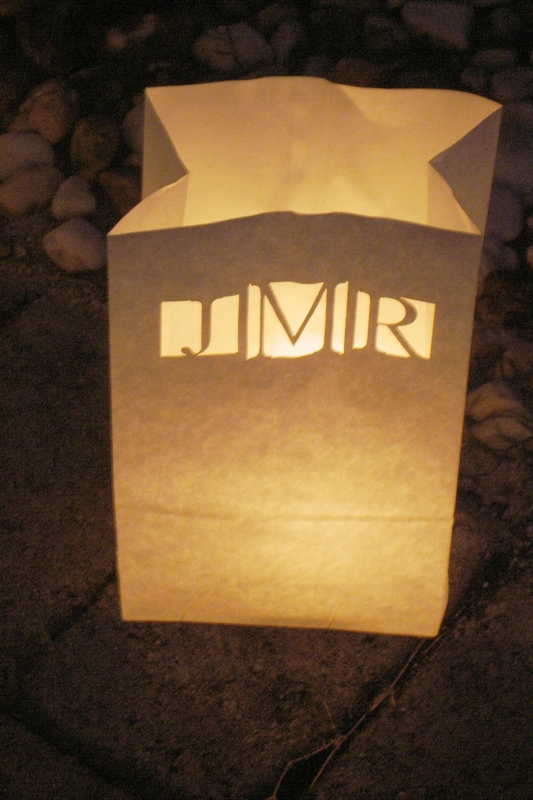 Personalized Wedding Luminaries with design of choice. 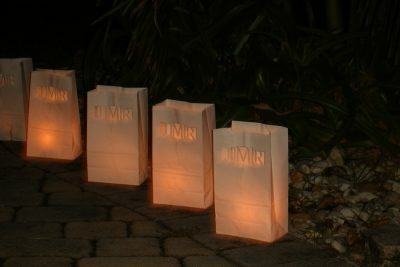 Best placed 2 to 4 feet apart with a LED light in each. 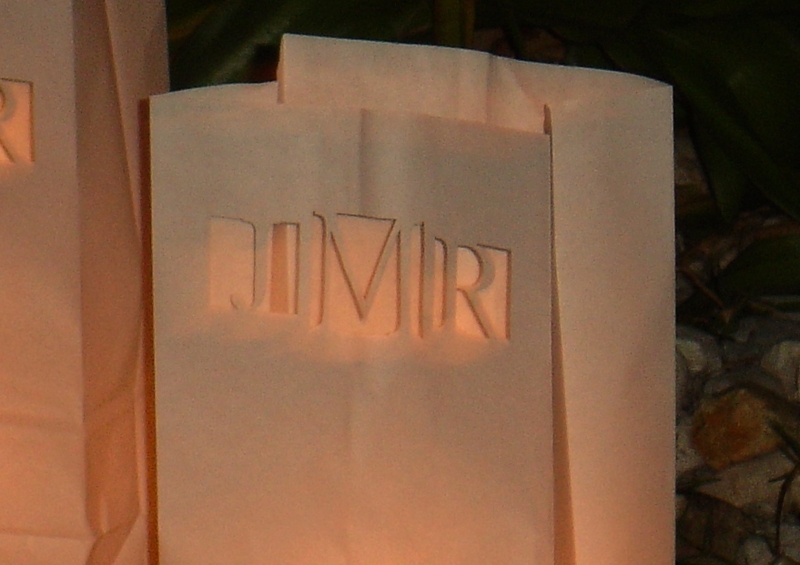 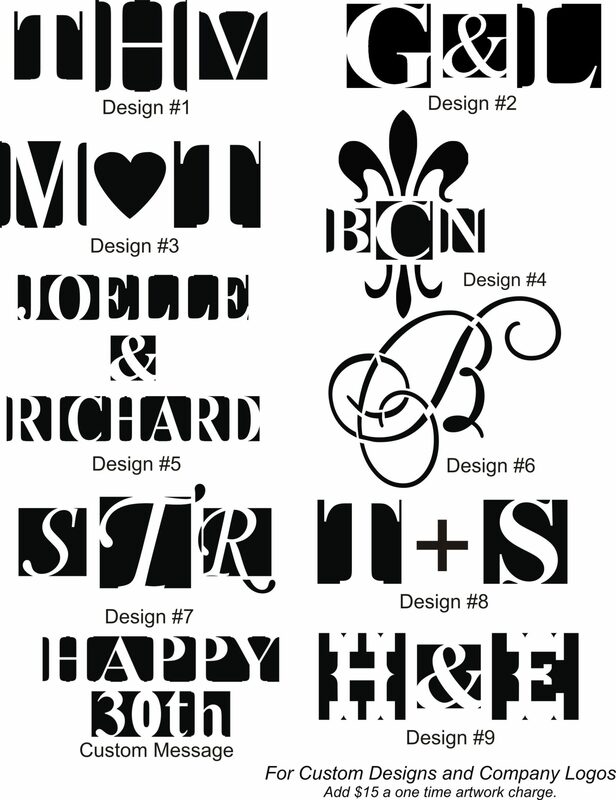 Luminaries measuring 5"W x 3 1/4"D x 9 3/4"H.
Includes you custom monogram, names or design. 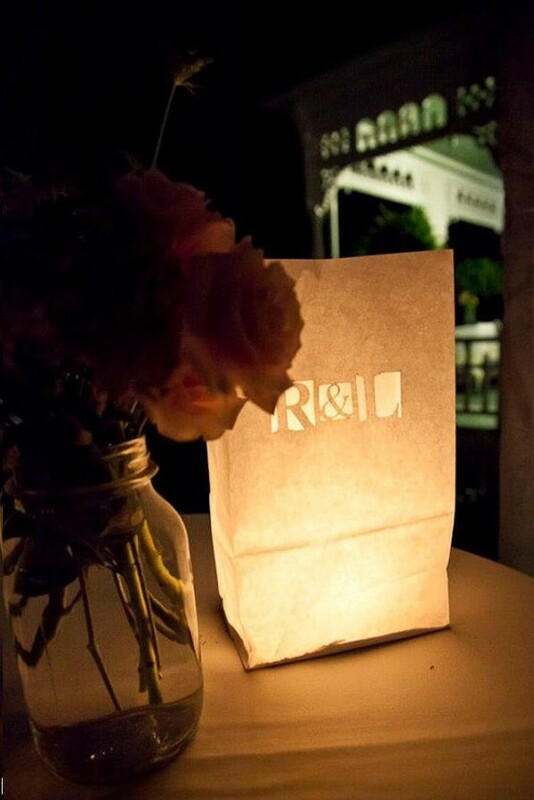 Does not include LED Lights or Candle.